Mr Tony Wenas, Director APRIL Group Indonesia Operations and President Director PT RAPP, was recently interviewed by GlobeAsia. 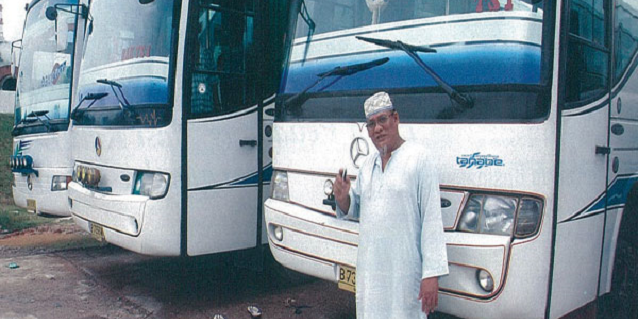 The article and feature image are shared with permission from GlobeAsia. Links and images have been added. 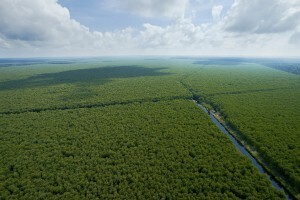 Indonesia’s large forestry sector has been a major driver of economic growth over the past few decades. But in recent years the sector has come under heavy criticism from environmental groups for unsustainable practices. As one of the largest pulp and paper companies in the world, RAPP is striving to strike the right balance between economic growth and conservation. In times of economic slowdown or turmoil, most companies preserve their resources and hunker down, waiting for the uptick in growth. And if the company operates in the natural resource space, it probably will be more conservative than most. But Tony Wenas, president director of PT Riau Andalan Pulp & Paper (RAPP), a subsidiary of Asia Pacific Resource International (APRIL), thinks differently. 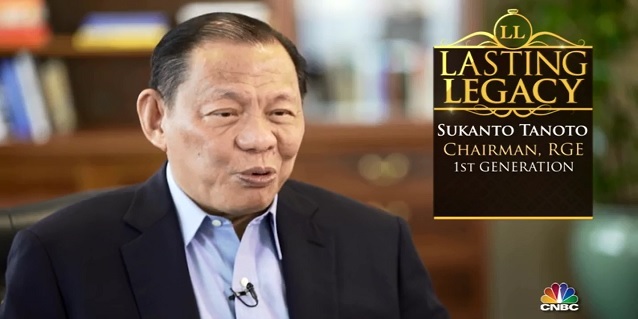 In an interview with GlobeAsia, the veteran businessman said that in fact now is the time for companies to invest for future growth. His rationale is simple. Commodity prices, which have been depressed for some time, will turn. The paper and pulp industry is likely to expand by 2.5% to 3% annually as new demand comes on to the market. 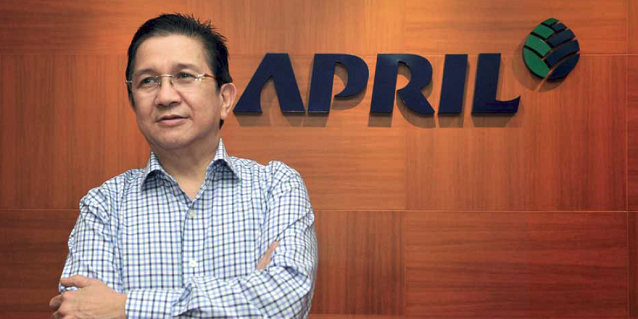 True to his word, RAPP last July invested in a new Rp4-trillion ($300-million) paper mill for its sprawling Kerinci facility and the company is now planning for a $1-billion rayon plant where construction will begin this year. The new paper mill will add 250,000 tons to the company’s current 850,000-ton paper production capacity while the rayon plant will enable the company to produce higher-grade digital paper. These trends bode well for the pulp and paper sector over the long term. The key, said Wenas, is for the company to continue to innovate and invest, even during times of economic slowdown. One way by which larger players can offset the huge investments in downstream processing is by collaborating with smallholders. Such collaboration is already underway in the palm oil sector and could extend to mining and other natural resource sectors. The recent forest fires in Sumatra and Kalimantan which generated choking haze across the region once again focused global attention on Indonesia’s forestry sector. While most of the blame was placed on palm oil plantation companies and smallholders who cleared land by burning, RAPP has not been remiss in adopting sustainable practices. The company started its sustainable journey in early 2000 when it introduced certification for the trees it cut for pulp production. 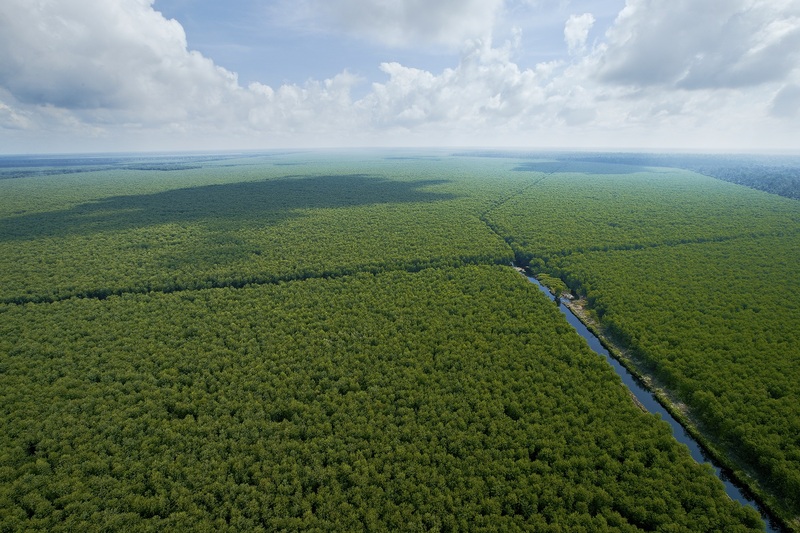 Then in 2005, it began its high-conservation-value program which resulted in 250,000 hectares being conserved within its concession area in Riau. During the recent Climate Change conference in Paris, the company committed to conserving another 80,000 hectares on top of the 70,000 hectares it has set aside under its ecorestoration program. “We have a total of 400,000 hectares under restoration and conservation at the moment,” he added. “We are committed to spending $100 million for conservation over 10 years and that is not an easy commitment. “Our policy has always been that whatever we do must be good for the country, good for the community and good for the company. Now we have inserted two more Cs, conservation and climate before company,” Wenas said. 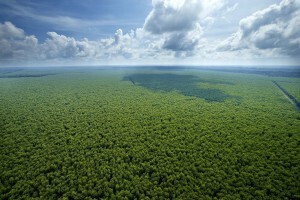 RAPP is thus supporting the Indonesian government’s pledge to conserve the country’s remaining natural forests. The company has installed 250 cameras within its conservation areas and found tigers prowling the forests and has pledged no new developments in forested peat lands. RAPP’s journey towards more sustainable operations has not always been smooth. The company in the past came under severe criticism from environmental groups for cutting down natural forests for its pulp but over the past few years it has worked had to improve its sustainability record. “The haze was a PR and environmental disaster for Indonesia,” Wenas said. “We are always being dragged into it.” According to RAPP’s internal study, most of the burning was caused by arson so providing people with alternatives is critical. Despite the pressures from climate change, conservation, global economic uncertainty and local community issues, Wenas noted that the forestry sector was a critical contributor to Indonesia’s economic growth and poverty alleviation goals. Non-operationally, the biggest challenge for RAPP is showing the business and environmental community that the company can manage its land and provide economic benefits to the local community as well as to the country. Wenas is confident that 2016 will be a better year for Indonesia’s economy with greater political stability. The challenge for the government, he noted, is to balance environmental protection with economic growth and job creation. That challenge is not insurmountable, he stated.